put the pak file in the addons folder and if you have a previous version delete the old files. I can't get the textures to work, I just get some of SE's default nebula textures. i made the installation easier and everything should work now. I made the installation easier and fixed the catalog everything should work fine. How did you find out the sizes of each nebula? I noticed that the Westbrook Nebula looks too large (65 ly) for a planetary nebula, especially one that began to form only 200 years ago. some of them dont use the real size. i think i forgot to edit the catalog for some nebulas. Plz make the Eye Cat Nebula with al its magnificence!!! Thank you for using the right colors for the Cat's Eye Nebula! Another nebula you should add is Tarantulla Nebula. It's amazing! Could you teach us with a little tutorial on how to do nebulaes? I want to help you with more. Bambusman, you gave a wrong instruction. Users must do not modify the default pak files. Instead of this, make a your own pak file for textures (a zip archive without compression, because it is useless for already compressed texture images). The same for the catalog file, however it can be just copied into catalogs/nebule/ without "paking", because it is a small solitary file. The nebulae models file should be updated though, but you also may simply put the updated models.cfg file into your mod. SE will load it instead of the default one from the pak, because it have a newer date. I should write a tutorial about how to use the new pak system. The installation instruction became more simple: just extract the archive into SE folder and add the nebulae_bambus.sc into universe.cfg. Also add a warning note what this archive consists the updated models.cfg and it could overwrite the existing file in case if user already have some nebulae mods installed. In this case he must merge the two files. I will develop a better mod installation method later, without any edits in the default files at all. 1) Make sure the default SE catalog have no nebulae that you are created. At least NGC 6537 is being duplicated. You should remove it from your catalog. Please check all other nebulae. UPD: maybe the better way is replace the default catalog with the updated one. Because some nebulae entries have an extra data added, such as alternate name - Spider Nebula. 2) SE already have a star called "Red Rectangle" (HD 44179). I guess this star should be in the center of the nebula. So distange to it must be corrected (and its size must be corrected proportionally). 3) You should follow the naming standards. "ngc 6302/bug Nebula" have a wrong case, it must be renamed to "NCG 6302/Bug Nebula". 4) It's better to made nebule model name without spaces: NebulaModel "Witch Nebula" rename to "WitchNebula". It will help to avoid problems with file path on other platforms in the future. "Red Rectangle " have even extra space in the end. 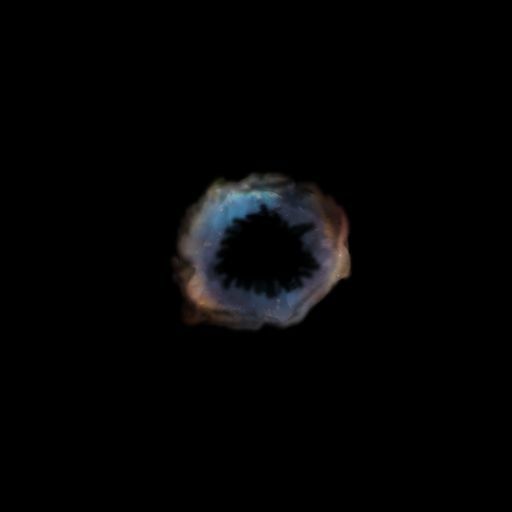 The "CubeMap" method will make your nebula looks like a tube (like real planetary nebula). This texture might be grayscale, because colors alreade taken from the posx and posy textures.